Together with the famous Chieftain Chair Finn Juhl also designed a Double Chieftain or a Chieftain Sofa, which he and cabinetmaker Niels Vodder originally presented at the Cabinetmakers Guild Exhibition in 1949. While the Chieftain Chair subsequently came into production, the Chieftain Sofa was only produced in this single known example. At Design Museum Danmark in Copenhagen where the Guild Exhibitions took place at the time, this particular sofa is still a part of the permanent exhibition of Modern Danish Furniture. Onecollection is proud to re-launch this fantastic and rare piece in an exquisite quality in walnut, teak and ox hide. 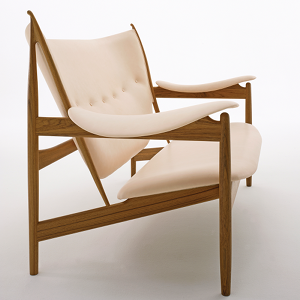 The Chieftain Chair is one of Finn Juhl’s absolute masterpieces designed at the peak of his career. 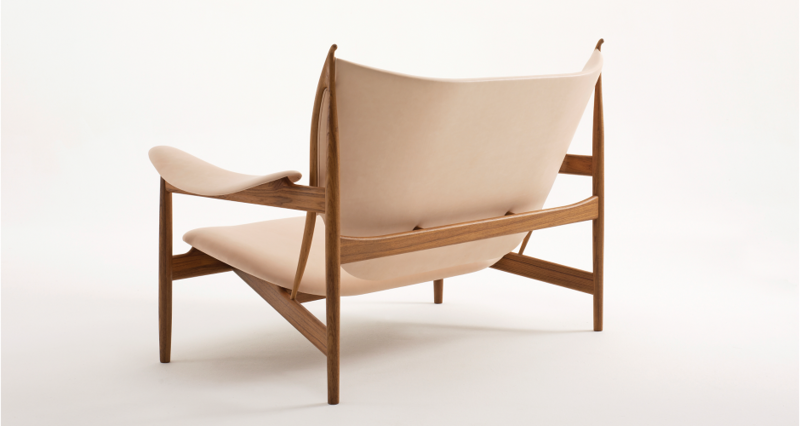 When it was presented in 1949, the Chieftain Chair marked a renewal of Danish furniture design. Finn Juhl picked up vital inspiration from the contemporary art scene of the time as well as art and tools from ancient cultures. His masterpieces from the 1940’s and especially The Chieftain Chair became of decisive importance for the breakthrough of Danish Modern in the USA in the 50’s. 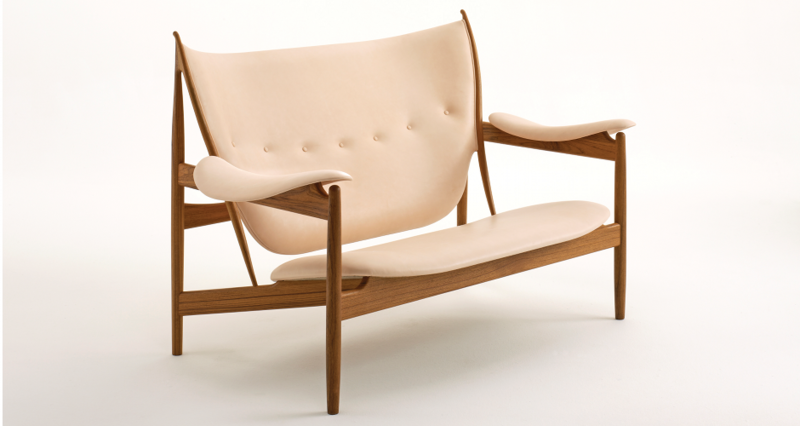 Therefore Finn Juhl is often called The Father of Danish Design.